It’s been a while since NVIDIA last issued a new Windows/Linux Vulkan beta driver update but that changed today with gamers and developers on Linux today having access to the 418.52.03 driver build. New to the NVIDIA Linux 418.52.03 beta driver is support for VK_EXT_pipeline_creation_feedback and VK_KHR_surface_protected_capabilities. VK_EXT_pipeline_creation_feedback provides a means of feedback to applications / game engines about the pipeline creation to provide a feedback loop for handling of pipeline caches. VK_KHR_surface_protected_capabilities allows a means of querying whether swap chains can be created with the VK_SWAPCHAIN_CREATE_PROTECTED_BIT_KHR flag set. Vulkan previously added these flags for allowing protected memory and protected resources, but those options may not work in all configurations (e.g. only certain display managers or environments), but this extension will indicate whether it can be supported in the given configuration. That’s it as far as the official changes go with this NVIDIA Vulkan beta build on the Linux side. Those wanting to try out this beta driver can fetch it from developer.nvidia.com. For Windows developers there is also improved DirectX Raytracing (DXR) and other additions around Direct3D 12. More details on Nsight Graphics 2019.2 via developer.nvidia.com. Nsight Graphics is a great and powerful tool albeit closed-source. AMD meanwhile continues offering their own developer tool-set as open-source like this week’s updates to the Radeon GPU Analyzer and other components. EVGA GeForce GTX 1660 Ti XC Black graphics card for delivering Linux OpenGL/Vulkan gaming benchmarks of this TU116 GPU and have the initial results to share today compared to a total of 16 different NVIDIA GeForce / AMD Radeon graphics cards on the latest Linux graphics drivers. The GeForce GTX 1660 Ti features 1536 CUDA cores and the GPU base clock frequency is 1500MHz with a 1770MHz boost clock frequency for the reference specifications. The GTX 1660 Ti features 6GB of GDDR6 video memory yielding 288 GB/s of video memory bandwidth. The GeForce GTX 1660 Ti has a 120 Watt power rating and requires a single 8-pin PCIe power connector. With not having any pre-launch access this time around, I ended up buying the EVGA GeForce GTX 1660 Ti XC Black for delivering Linux benchmarks of this new graphics card. The EVGA GeForce GTX 1660 Ti XC Black could be found on launch day for the MSRP price of $279 USD and with immediate availability, which is why I went with this particular model and it does run at NVIDIA’s reference clock speeds. For being a reference-clocked graphics card and the board power being just 120 Watts, the cooler is massive… It’s a triple-slot graphics card! This caught me by surprise. But, hey, the card did end up running very efficiently during our several days of benchmarking thus far and was very quiet with the fan seldom ramping up. Thermal results later in this article. This graphics card has a dual-link DVI output as well as DisplayPort and HDMI. For those curious, the eVGA box does not mention Linux… It’s still a hit or miss whether graphics card AIB partners mention Linux support or not. But the packaging does note “OpenGL 4/5” support… There isn’t OpenGL 5.0, at least not yet. If it was intended for OpenGL 4.5, they have been supporting OpenGL 4.6 for a year and a half already. As expected given today’s GeForce GTX 1660 Ti launch, NVIDIA has released a new Linux graphics driver supporting the 1660 Ti as well as the RTX 2070 with Max-Q Design and RTX 2080 with Max-Q Design, among other changes. This is actually the first stable release in the NVIDIA 418 series for Linux users and succeeds last month’s NVIDIA 418.30 Linux driver beta. Most of the changes in today’s NVIDIA 418.43 driver release were previously found in the 418.30 version, just now made official with this stable driver debut plus adding in the NVIDIA GeForce GTX 1660 Ti graphics card support. Most notable to the NVIDIA 418 Linux series is the G-SYNC Compatible (a.k.a. FreeSync / Adaptive-Sync) support that NVIDIA began rolling out following CES for capable monitors and Pascal graphics cards and newer. Now the Linux support can be found in this first stable driver release. This 418.43 stable driver also carries over the other recent 418 series changes including NVIDIA Video Codec SDK 9.0 support, support for stereo presentation with Vulkan, various Vulkan and OpenGL fixes, initial support for NVIDIA Optical Flow, VDPAU updates, and other fixes. The NVIDIA Optical Flow support is for GPU-accelerated computation of optical flow vectors and stereo disparity values. This 418.43 driver does include support for the soon-to-be-released Linux 5.0 kernel. 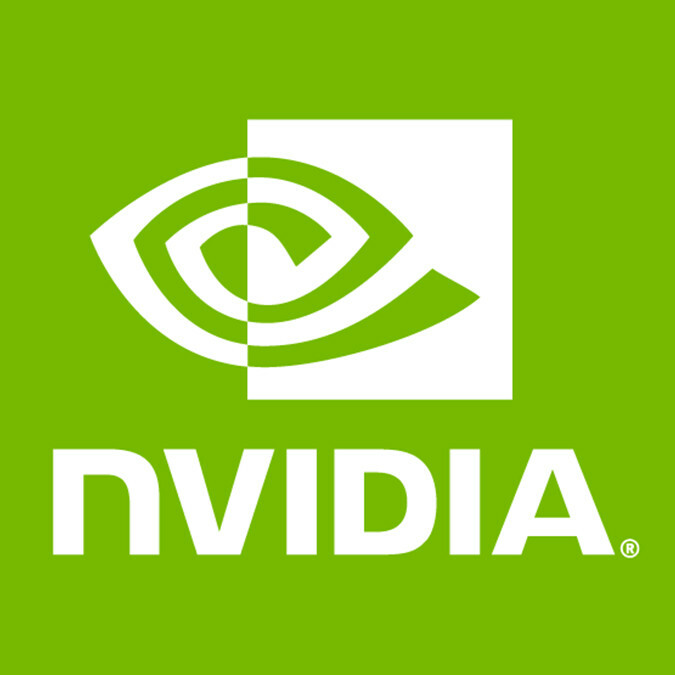 More details and downloads for the NVIDIA 418.43 Linux driver release can be found via NVIDIA.com.